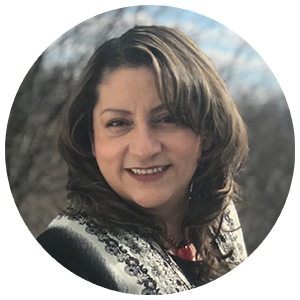 Angie Ortiz is our acclaimed bilingual doula. She is fluent in English and Spanish and is beloved by our clients. With her vast depth of experience in the birth field, she has served growing families in different capacities for many years. Having made the decision to work as a professionally recognized doula, she is also now in the process of obtaining her official certification. Angie has a background in the medical field. She initially pursued an education in health science, emphasizing in medical assisting at ACT College and she later practiced as a surgical assistant. She is also pursuing an online bachelor’s degree program in Psychology at Brigham Young University-Idaho. She has received her Labor and Delivery, Postpartum, and Newborn Care specialty trainings through ProDoula and Childbirth International. Her native language is Spanish, and she is also fluent in English, able to understand medical terminology in both languages. Angie is a dedicated and loving doula. She has always had a passion for serving others. Throughout her life she dedicated much of her time serving her family and members in her community. Angie looks forward to serving every parent with love, dedication, and respect. Angie is a born nurturer. Growing up she had many opportunities to observe her mother’s work as a midwife. Doing so embedded in her the desire to become a doula. To be able to support, care for, and empower mothers and families. Angie has 5 amazing children of her own and now knows that having a doula through her deliveries would have provided an incredible amount of help. In her free time Angie enjoys dancing, exercising, listening to music, reading, and boating with her family. Angie recently celebrated her 27th wedding anniversary with her husband. She has 2 beautiful grandchildren, 2 wonderful daughters-in-law, and an adorable pup. Angie looks forward to serving you and your loved ones through this very special time.